The Endocrinology department offers expert care for various metabolic, pituitary, thyroid and diabetes-related conditions. Our multidisciplinary team includes endocrinologists, diabetologists, dietitians and critical care specialists. With top-ranked experts working towards your hormonal health and advanced treatments, Regency Healthcare stands out in the treatment of disorders such as diabetes, obesity, thyroid, PCOS, osteoporosis, and highly complex hormonal disorders. Our department of Endocrinology provides state of the art care for patients with diabetes (Type 2, Type 1 and gestational diabetes). There is a coordinated approach to each and every patient having Diabetic related problems, viz. Diabetes and Kidney, Diabetes and Eyes, Diabetes and Impotence, etc. In an adrenal disorder, the glands produce too much/ little of growth hormones. Facilities for all dynamic endocrine tests including Growth Hormone Stimulation test, water deprivation test, ACTH stimulation test and GnRH agonist test. Metabolic bone disorders affect bone strength such as osteoporosis, osteomalacia, Paget’s disease and parathyroid disorders. 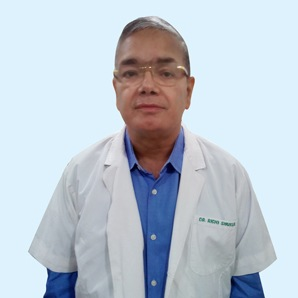 Under the supervision of the endocrinologists of the hospital, bone disorders (bony deformity, weak bones), calcium disorders(low and high calcium levels) are given specialised attention. These include heart rate, metabolism and the reaction of the body to other hormones. The department of Endocrinology provides state of the art care for patients with thyroid abnormalities. We also provide Neonatal screening program for hypothyroidism for timely detection of children with thyroid dysfunction. Lipid disorders caused due to high cholesterol can contribute to the clogging of arteries which is linked to increased risk of heart attack and stroke. Regency Healthcare provides overall management of obesity including advices regarding diet and weight reduction. Gonadal and Menstrual disorders can include abnormally early or late onset of puberty, irregular menstrual cycle and sperm count. They can also affect reproductive development, problems during pregnancy and the early onset of menopause. Our team works closely with other departments to tackle infertility disorders. 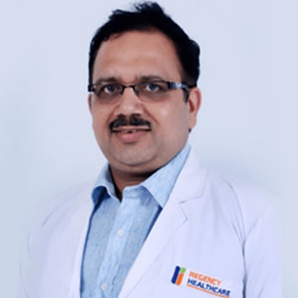 Dr. Anurag specialises in a wide range of conditions such as Type 1 Diabetes mellitus, Diabetes insipidus, Hypothyroidism, Hypocalcemia, Hypercalcemia.